The Legacy Academy K-3 Spelling Bee will be held this Wednesday, April 22, at 8:15am in the gym. We have six individuals running for the Legacy Academy Board of Directors. Please take some time to read their letters. The election will be held this Friday, April 26th from 7am to 7pm. To raise money for the DC trip, 8th grade will be selling breakfast burritos for $2 each at the departure end of the morning carpool line on Tuesday, April 16, and Wednesday, April 17. If you do not see us in your line, swing around to the other side of the school. We have received six letters of intent to run for the Legacy Academy Board of Directors. Please take some time to read their letters. We wanted to remind you of our carpool guidelines as we near the end of the school year. Please remember to keep these guidelines in mind to ensure the safety of everyone. 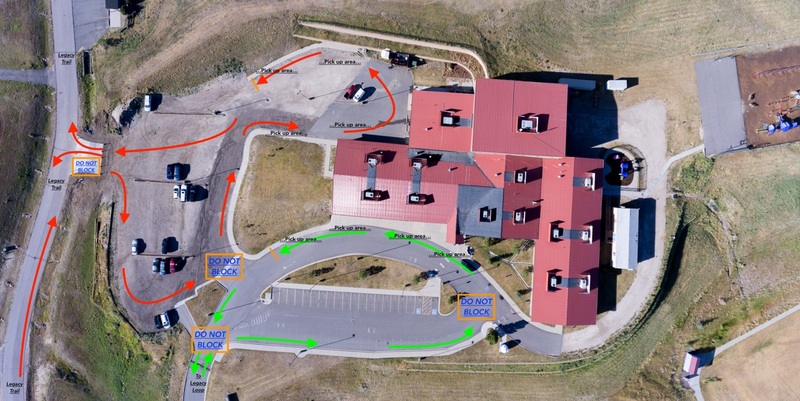 We especially would like to remind drivers to pull off the road(s) as far as possible to avoid blocking through traffic (especially on Legacy Trail) and to please pay attention to cross traffic when leaving the parking lot (notice the STOP signs). Thank you for taking the time to review the following. It is imperative that these instructions are followed as this ensures the safety of your children. Please do not pass vehicles in the carpool lane and please be courteous to one another in the lane. In the event of dangerous weather conditions during carpool, we want parents to be aware of the school’s protocol to ensure the safety of our staff and students. In the case of lighting, hail or tornado warnings, we will keep everyone inside the building until the danger passes which will delay carpool. Please remember that we wish to keep your children safe and we ask for your understanding and patience during these times.